Habit: Bourreria succulenta grows as a shrub to small tree up to ten meters in height. The trunk is typically two-ten centimeters in width but in very old specimens as much as 20 centimeters wide. The leaves are arranged alternately and are up to twelve centimeters in length with an entire margin. The petioles are yellowish green. The flowers are arranged in cymes. The calyx has five fused sepals forming a tube. The corolla has five white fused petals that are salverform. The five stamens are fused to the corolla and are alternate with the petals. The fruit is a berry that turns orange-red at maturity. Habitat: Bourreria succulenta occurs in sand and limestone substrate based Dry Broadleaf Evergreen Formations (Coppice) that are either forests or shrublands. Distribution in Bahamas/Globally: Bourreria succulenta is known to occur on all islands groups in the Bahamian Archipelago as well as Florida and Cuba. Medicinal/Cultural/Economic usage: Bourreria succulenta has a number of medicinal uses including treating diarrhea, fevers, nerves, pain, skin infections and inflammations, weak bladders, and as a component of strengthening and aphrodisiac teas. The fruits are edible to humans. 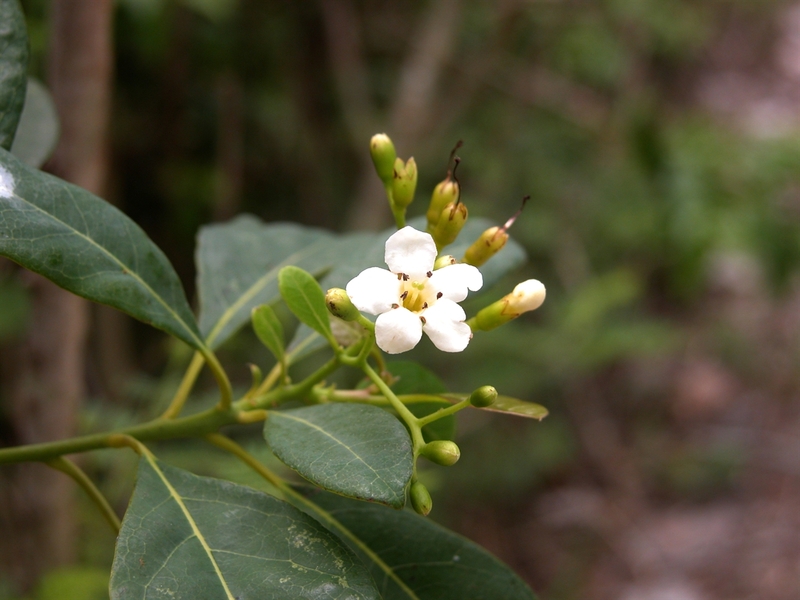 The flowers attract butterflies and other insects and the fruits are an important source of food for birds. Bourreria succulenta is used in the horticultural trade and the wood to make carvings.